In Rufus and Ryan Go to Church! Ryan explains to his stuffed monkey, Rufus, what is happening as they attend church on Sunday morning. He lets Rufus know when it's time to sing and to pray and to be quiet. About the series: Rufus and Ryan is a new series of board books for preschoolers, featuring Ryan, an energetic little boy, and his stuffed monkey Rufus. The series focuses on religious and church concepts, as well as character traits and development. The text is presented in young Ryan's voice as he teaches Rufus about the things he is learning himself. In about 150 age-appropriate words, author Kathleen Bostrom brings a delightfully light touch to the text as she provides an introduction to practices and experiences that many children are exposed to long before they understand why. And children everywhere will relate to the idea of explaining their surroundings to a favorite companion as they go about their daily activities. Rufus and Ryan is an adorable series of books that would delight any young child. We received Rufus and Ryan Go to Church! and it was really sweet, the basics about how a typical church service would go. This board book is very sturdy and would be a great addition to a young child's home library and is sure to become a well loved book. 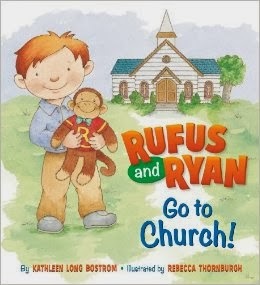 The book is about Ryan (the little boy) taking his stuffed monkey Rufus to church with him, most children will be able to relate to the book as Ryan explains the church service to his stuffed monkey. Also available is Rufus and Ryan say their prayers. I haven't seen that one yet but I'm sure it's a adorable as this one. 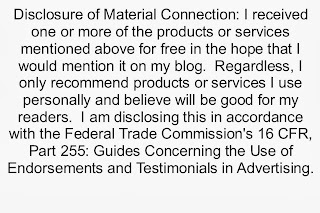 Kathleen Long Bostrom- is an accomplished author who has written numerous children's books, including Sunrise Hill and Mary's Happy Christmas Day. She lives in Wildwood, Illinois, with her husband and three children. Rebecca Thornburgh for more illustrations click on her link!